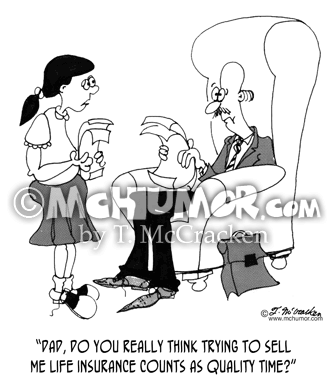 Insurance Cartoon 5281: A daughter asks her father, "Dad, do you really think trying to sell me life insurance counts as quality time?" 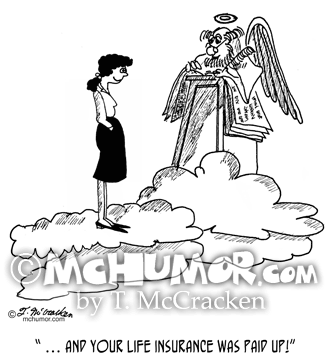 Insurance Cartoon 9527: St. Peter welcoming a woman to heaven says, “ … and your life insurance was paid up!" 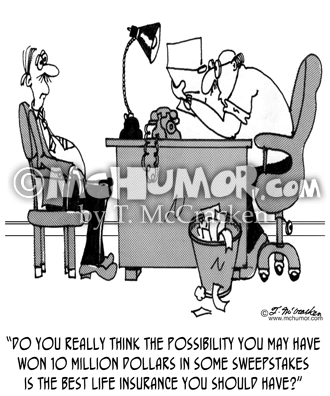 Insurance Cartoon 5280: An insurance salesman says to a customer, “Do you really think the possibility you may have won 10 million dollars in some sweepstakes is the best life insurance you should have?" 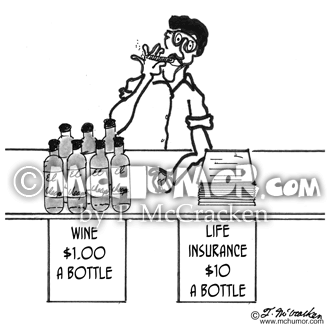 Wine Cartoon 0752: A man sells "Wine, $1 a Bottle" next to "Life Insurance, $10 a Bottle." 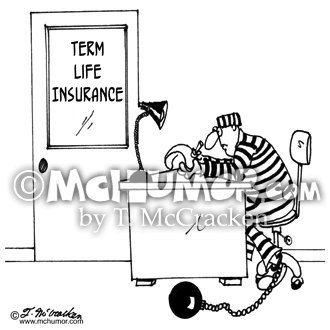 Insurance Cartoon 5663: Someone in striped prison garb with a ball and chain works in a "Term Life Insurance" office." 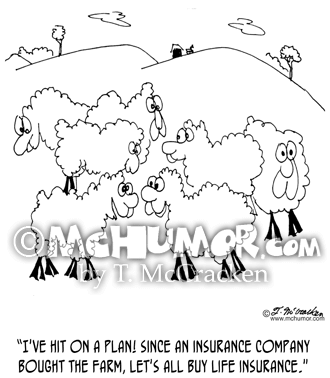 Sheep Cartoon 6603: A sheep says to flock, "I've hit on a plan! 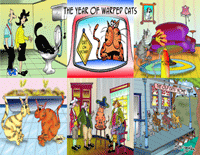 Since an insurance company bought the farm, let's all buy life insurance." 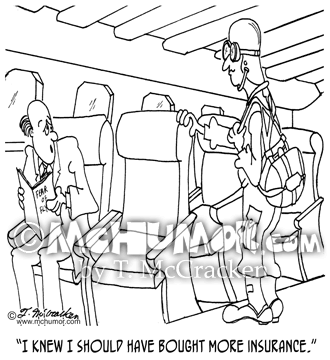 Parachuting Cartoon 4858: An airline passenger looking at a man wearing a parachute saying, "I knew I should have bought more insurance." 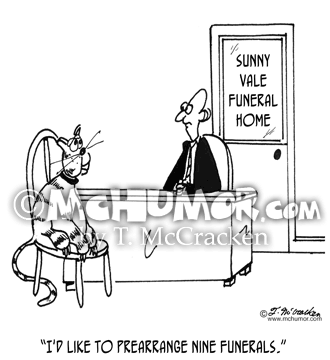 Funeral Cartoon 5031: A cat in a funeral home says, "I'd like to prearrange nine funerals." 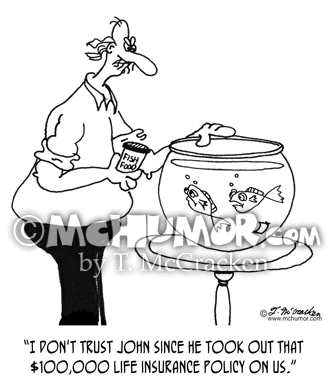 Insurance Cartoon 5158: A fish in an aquarium looking at his owner says to another fish, "I don't trust John since he took out that $100,000 life insurance policy on us." 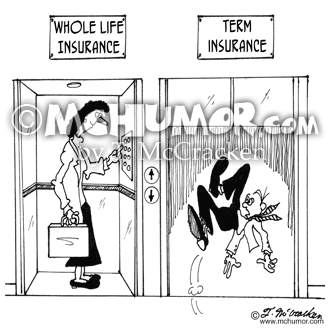 Insurance Cartoon 5662: Two elevators, "Whole Life Insurance," and "Term Insurance." In the latter someone's falls down an empty shaft.